Andromeda the Game is actually the name for a whole project worth of products based in the same universe. It's broken up into various parts, from The Abyss, which is an RPG, to The Void, a board game including minis. There's also a soundtrack and an app. As I said, it's a bit of everything. You can even get a t-shirt. The Void: A frenetic and addictive board game for 1 or up to 6 players with detailed miniatures & illustrated cards. The Depth: A massive BSO that will toy with your fears and terrify you maximizing your experience. 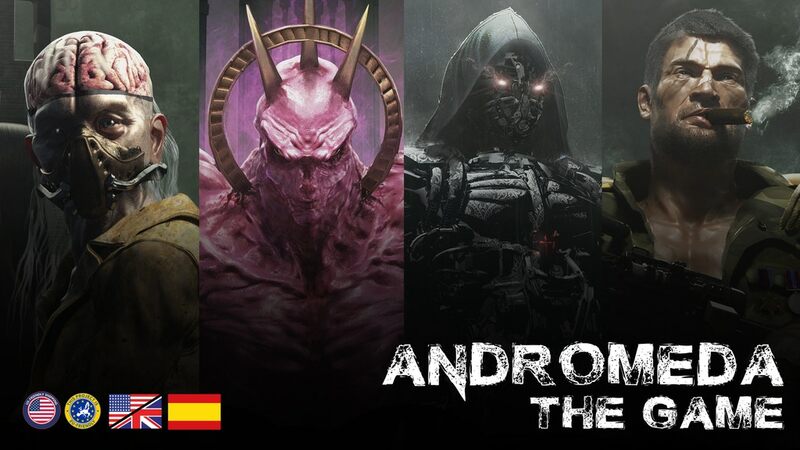 The Inferos: An android smartphone app to interact with all the versions of Andromeda The Game. The whole project is up now on Kickstarter with still 26 days left to go.